“Well, THIS oughta take your minds off the election for a little while…. (don’t forget to vote, though!)…. Diana, I got so caught up in the series that this summer, my 19 year old daughter and I visited Scotland! We had a wonderful time and am ready to return. My heart is in the highlands! We don’t get STARZ in Israel (we get other stuff)…will there be other broadcasting options for your international fans? This is the best news I have gotten in a long time!!!! I hope the Starz folks take into account your opinions of how the actors look and portray your characters. Although I like both Kevin Kidd and Jason Issacs previous performances, I don’t think either one of them would be good choices, they are both too old for the begining of the series and it would be too difficult to de-age them. I’m sure there are several wonderful actors out there who can play the characters and fit the pictures in our heads. I know it would be possible to find actors with real Scottish accents to play the parts, it is amazing how many actors we see on TV who are British, even scottish and we don’t know it until they do interviews. I can’t wait to see the series and I will be watching every episode over and over! And I will also be reading all the novellas and re-reading all the “BIG” books again. THANK YOU, THANK YOU, THANK YOU!!!!!!!!!!! Not to take anything away from the news about the show, but as I was at work today, contemplating my manager’s shortcomings, I found myself wishing that there was a book about Jamie’s leadership – The Leadership Secrets of James Fraser. If Diana ever tires of writing novels, this would be a great subject. I’ve worked for a lot worse managers than my current boss, but he suffers in comparison to Jamie. So thrilled to learn about the series. I know how beautiful this could be on screen, with location shooting and genuine actors. Can. Not. Wait. By “genuine”, I believe I actually mean “authentic”. Sorry, it’s late and I am tired, plus so very excited about the series. While I have been more than content to immerse myself in the stories with my imagination providing its own cinematography, I am ecstatic to hear that I might be able to see these wonderful characters come to life on film. My friends and I have been waiting to say this and given this opportunity, here goes – we think Chris Hemsworth could play the part of Jamie. He is the person I picture whenever I read the books. My other comment is that given the constraints of writing a screenplay for any media, the characters are the enduring centerpiece of any production. People love the stories, but they fall in love with the characters. I have loved them from page one and no matter who ends up playing the parts, as long as the essence of the character is there it will be wonderful. well, I am really, really excited about this, but I was hoping that it would be a mini-series instead of a series….I remember how much I looked forward to watching the Sword of Truth series (books by Terry Goodkind). Seems like some of the episodes ended up being made up of boring “adventures” that happened while they were traveling from one place to the other, some of them weren’t even in the book. Where, if the story is a mini-series, they already know pretty much how much time they have to tell the story and end up sticking closer to the actual authors written adventures and characters. Much like HBO did with the Game of Thrones, first year. Also, if it’s a mini-series, they have a chance of getting bigger stars in the lead roles. A lot of actors don’t like doing a TV series, it takes up too much of their time when/if a movie opportunity comes along. I have been waiting for something like this to happen for for-ev-er! Awesome! I am very glad to know that there will finally be a movie–disappointed it will be on Tv not the big screen, but that’s alright….I really can’t wait. Loved the last Lord John book! I wish Joss Whedon could be involved. His sense of humour, poignancy and timing would be so perfect for the characters. Plus he’s such a great advocate of strong female leads. I really REALLY hope they don’t detract from Claire, Brianna, et al, by focusing too much on the guys’ perspective. Les sigh. And Claire’s hair!!! If Claire’s hair is not at least partially its own character, I’ll be sorely disappointed. Haha! So interesting to read all of the comments regarding a ‘series’ – since I have my own ‘pictures’ of the Fraser family in my head it may be difficult for me to transcend to ‘movie images’ – I must confess I have read the Outlander series (all volumes) at least 3 times. 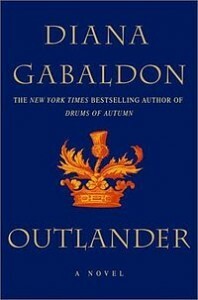 Something about your writing, Ms Gabaldon, captures my imagination and I keep learning new information each time I read. I am a retired community college psychology teacher who has wanted to write a novel all my life – maybe if I put down your books long enough to write my own I may yet accomplish that task. 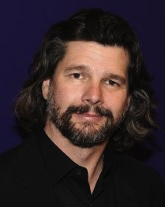 What a great choice you made in having Ron Moore pitch your beloved work to Starz. I guess this will free you up for a bit of time for your writing. Congratulations! I am looking forward to see how things shape up with the directors and casting. Again, best wishes.